When Joy Leggo took the helm at Multicultural Aged Services (MACS) in January 1994 she hoped to make a difference for the elderly. And 25 years in her “dream job” as its inaugural chief executive officer has only stoked her passion. “I see where we have made a difference to people’s lives,” she said. Joy has helped transform the 40-bed hostel at North Geelong from employing 30 people in 1994 into a 160-bed facility with 200 staff and 60 volunteers. “I’ve been really fortunate to have been with the organisation from the beginning so I could set the culture,” she said. Joy was particularly proud of a dementia-specific facility that opened at the centre in 2016. MACS will celebrate Joy’s silver anniversary with a barbeque lunch and the opening of Stan’s Shed and a walking track. The shed commemorates Slobovan ‘Stan’ Mirkovic, a founding member and long-serving director of MACS, who died in November 2015. Stan’s wife, Elaine, donated the funds for the woodworking shed in his memory. 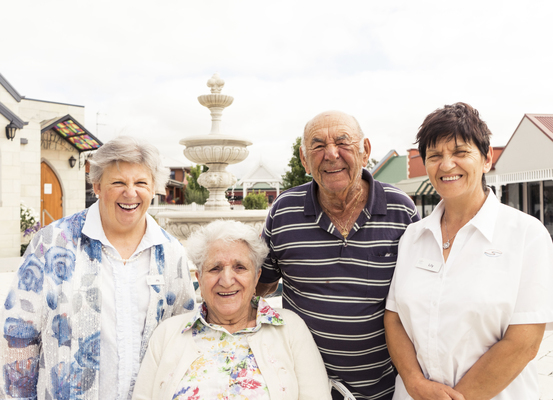 A not-for-profit organisation, MACS provides residential aged care, independent living units, home services and dementia-specific, palliative and respite care for elderly people of more than 60 ethnicities.